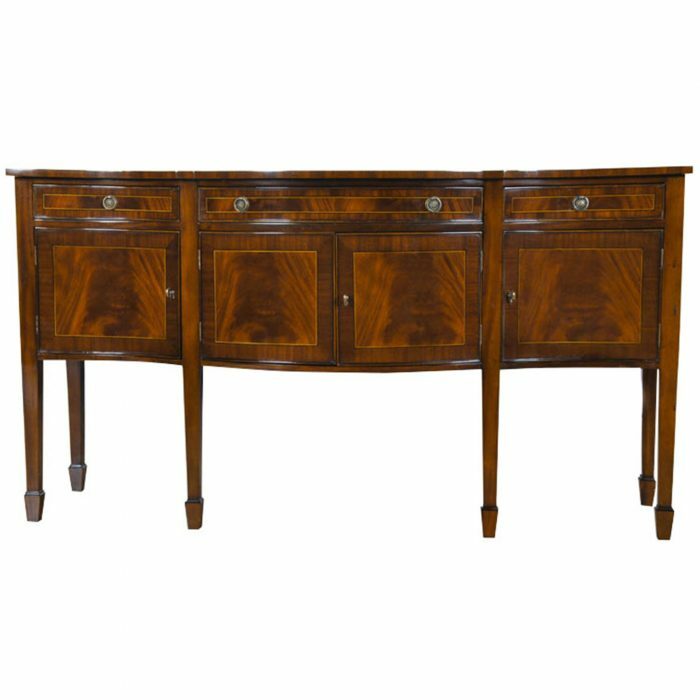 As beautiful as it is long the Niagara Furniture Three Drawer Mahogany Sideboard is an eye catching piece with a large and deep top surface making it ideal for either displaying your favorite items or serving your favorite food and drinks. 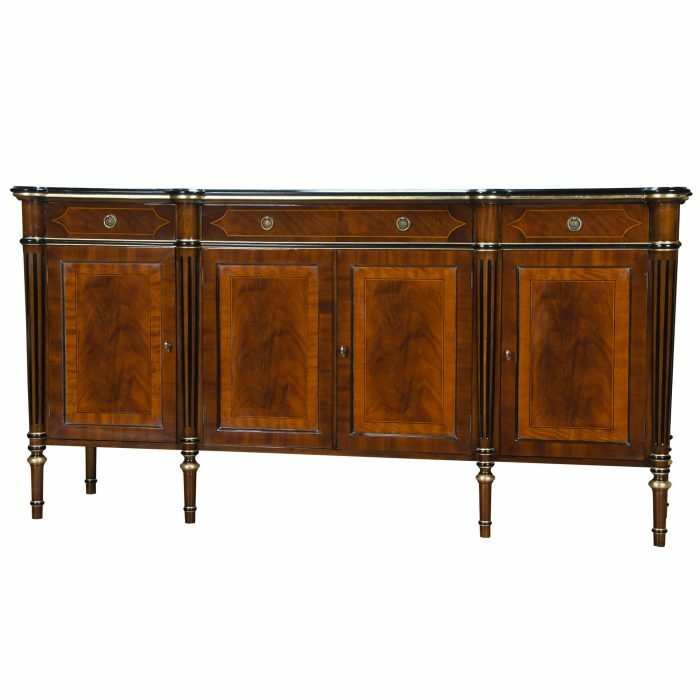 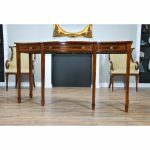 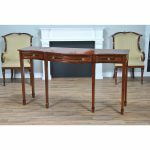 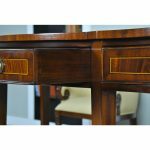 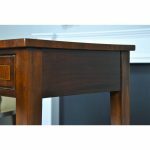 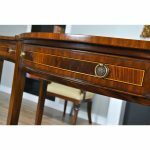 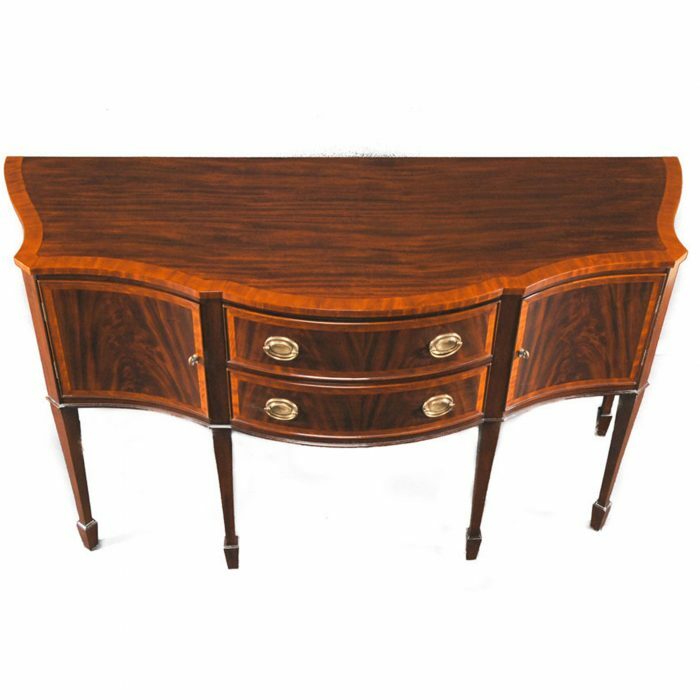 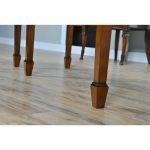 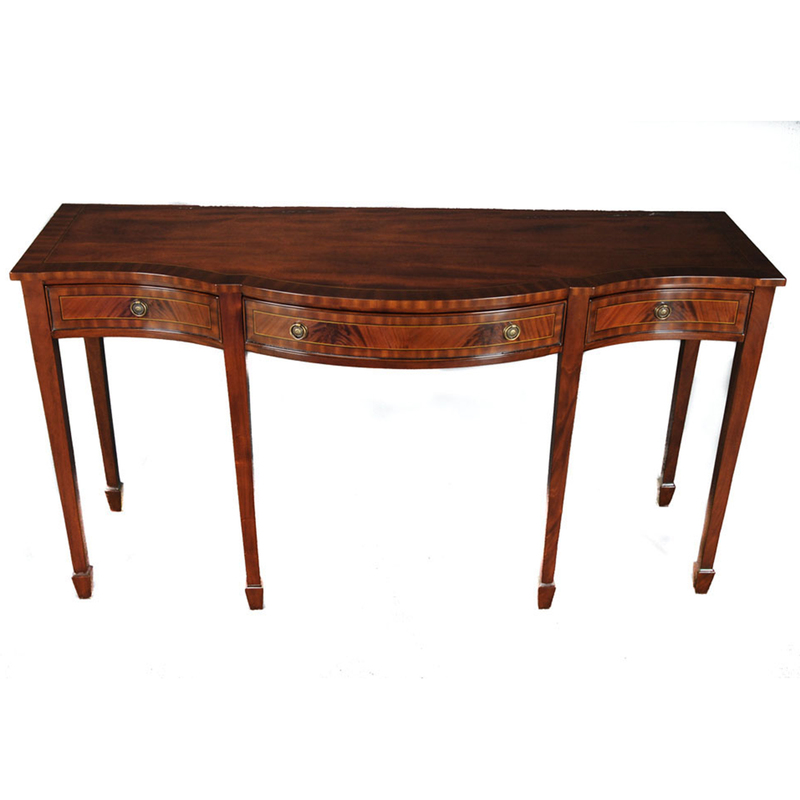 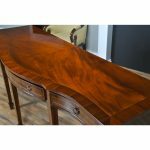 Made from high quality mahogany solids and mahogany veneers throughout the Three Drawer Mahogany Sideboard is very sturdy even on the long tapered legs. 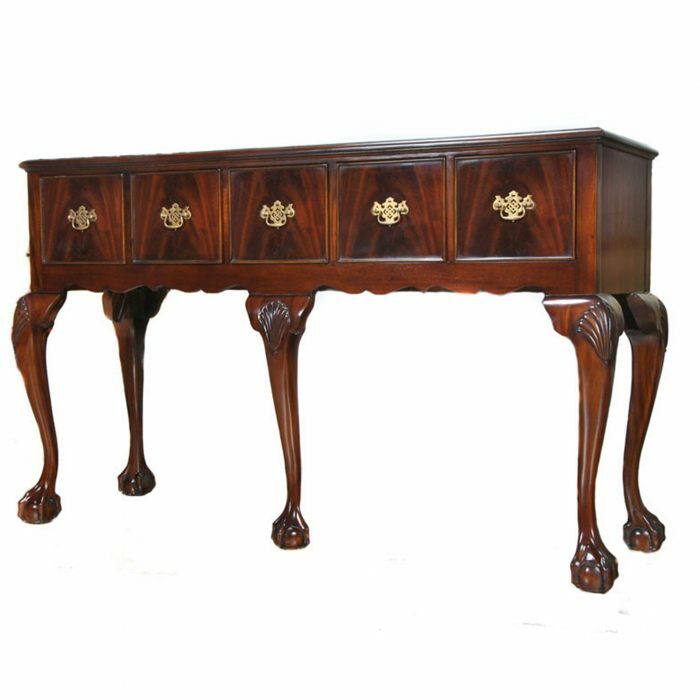 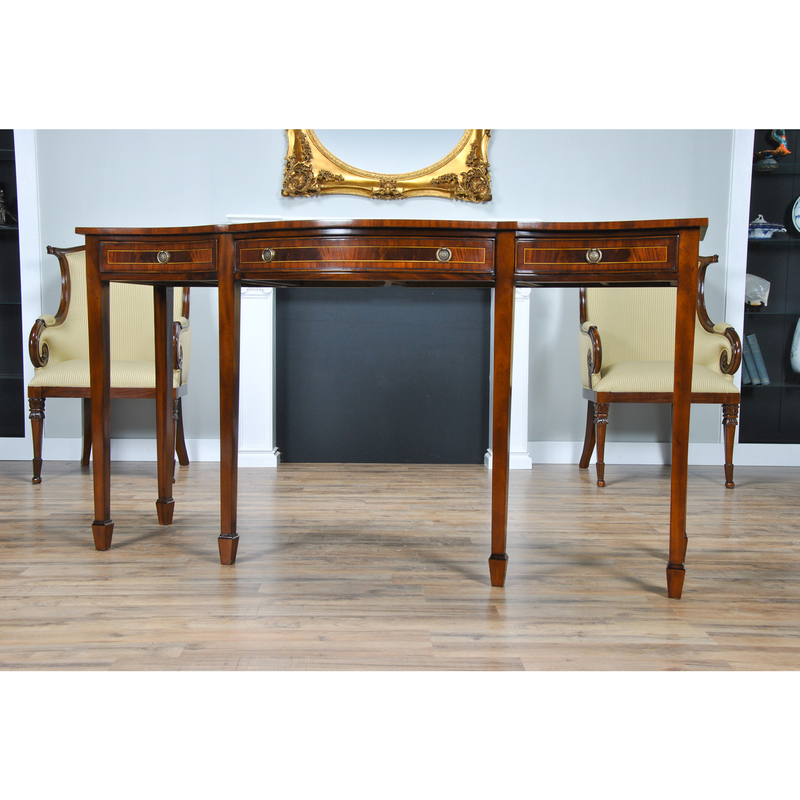 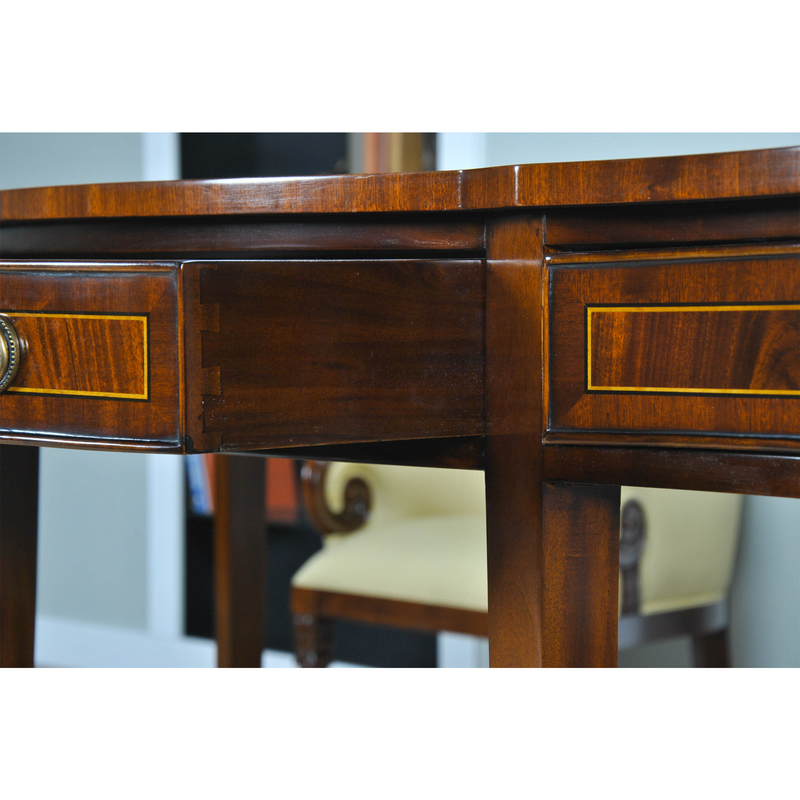 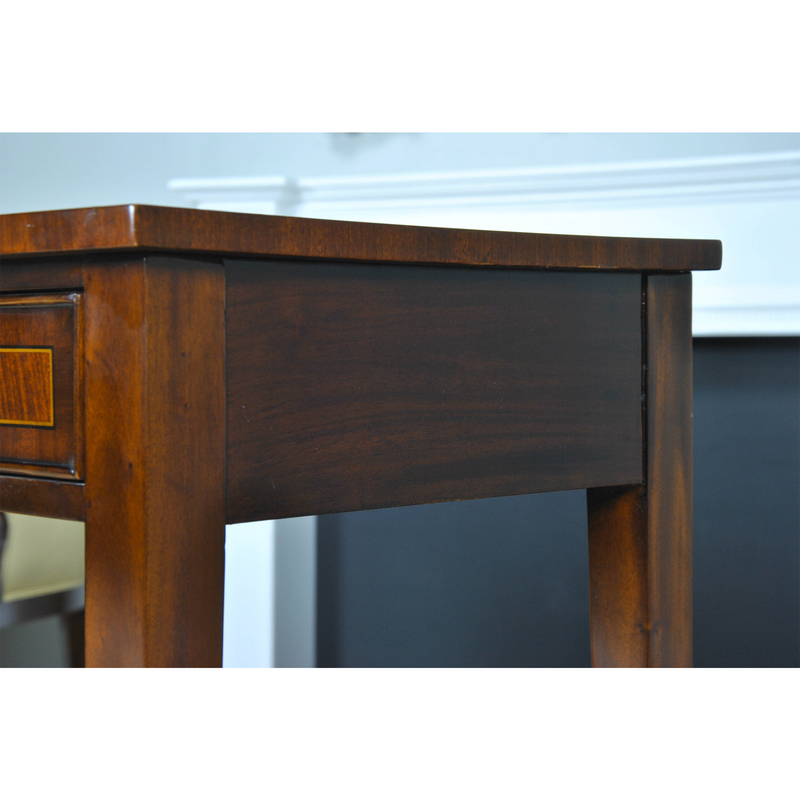 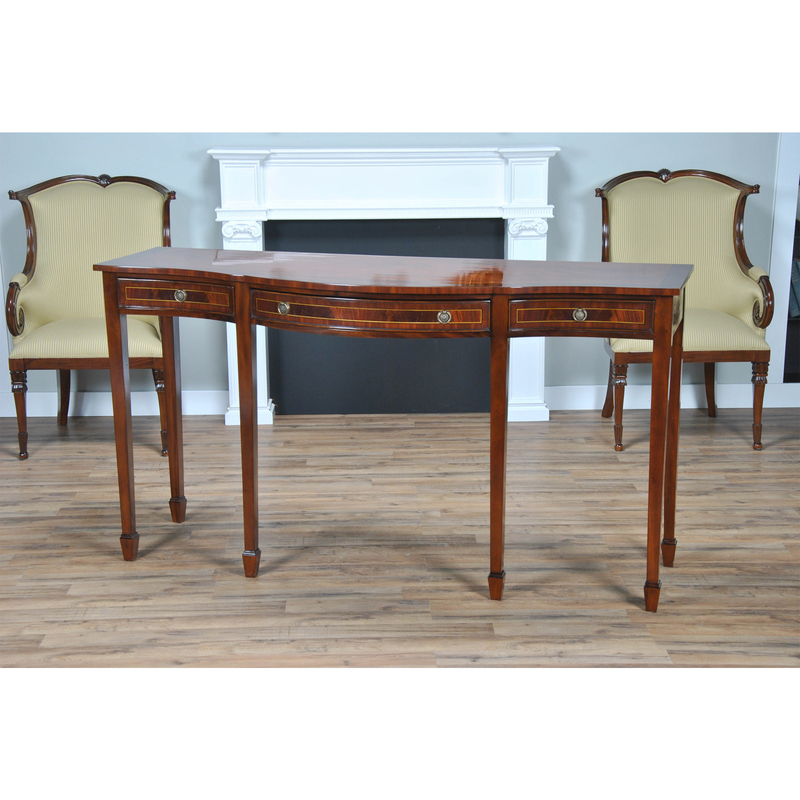 Dovetailed drawers and solid mahogany legs are hallmarks of it’s great quality construction.